Starting a business on the internet sounds a lot easier than it actually is. Or at least, that’s what the traditional methods of online business and marketing would tell you. Times are changing. 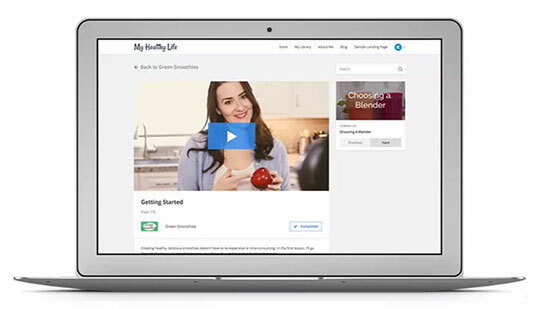 Now it’s easier than ever to get started with a website and online business of your own. At the same time, it’s also easier than ever to turn your expertise or brand marketing into a six-figure business in the process. All of this is now all possible through the use of a powerful all-in-one solution called Kajabi. Kajabi was created to make it easy for anyone to start an online business with the concept of selling, marketing and delivering, all in one powerful platform. Not only has Kajabi had years of success with their own software and business, but they’ve also helped launch successful businesses for thousands of professionals, experts and brands around the world. 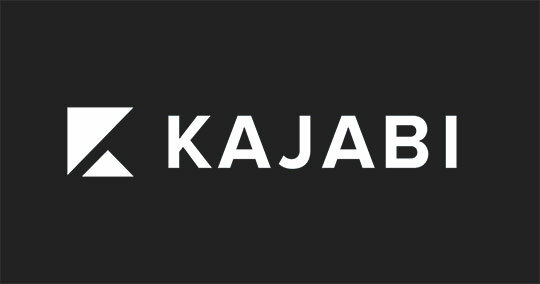 In this review, we are going to take a look at what the Kajabi platform has to offer and why it’s quickly becoming the number one solution for running an online business. What is Kajabi and How Does it Work? In short, Kajabi is an all-in-one platform that makes it easy for anyone to create an online business. You don’t need to become a programmer, designer or internet tech guru. 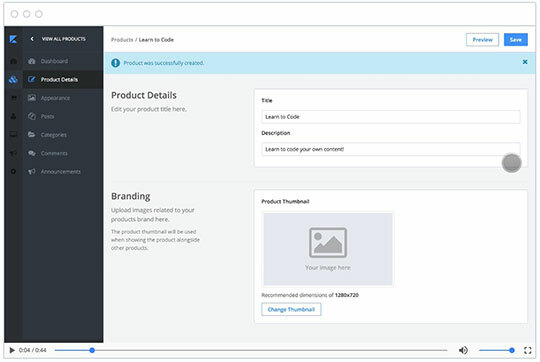 Instead, the platform was built to be incredibly simple, yet effective for anyone to get their business, products and services online through a simple walk-through process. The way Kajabi works is simple. First, you need to sign up for an account on their site. 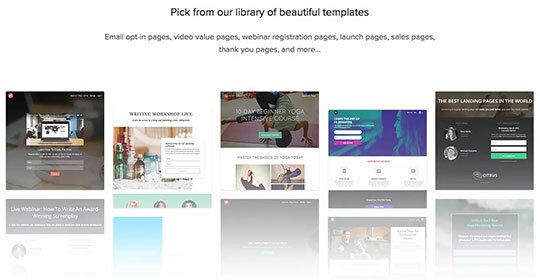 Right now they are offering a 14-day free trial, which will allow you to create your online store and play around with all of the features on their site. After setting up your account, you can then walk through the process of creating your website, adding products, managing your members and promoting your business. Each of these components is set up in a way that requires no additional learning or skills. Kajabi has done all of the hard coding and messy work for you. Now let’s take a look at the major components of Kajabi, and how each of them will help you better run your online business. The most important part of any business is the product or services that are offered to their customers. As the creator of your own product, this is something you’ve likely already accomplished. Kajabi makes the process of selling, marketing and delivering your products effective and easy. Best of all, Kajabi wasn’t just built for digital products. The platform also caters to the online course, membership sites and e-book/training materials. Every great business needs to have a professional looking website. With your expertise being on the products and services you sell, creating a website from scratch and becoming a web designer isn’t something you want to add to your to-do list. Kajabi feels the same way. 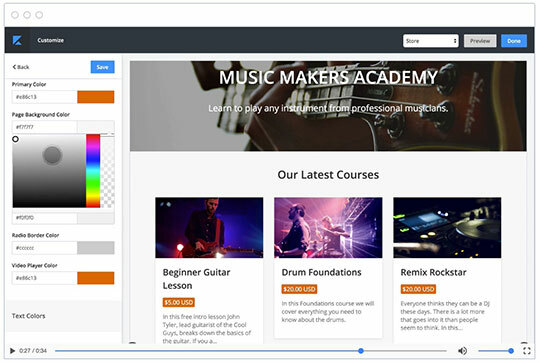 Through their simple drag-and-drop web builder, anyone can have a professional looking website that is fully customizable and responsive in just minutes. Once your site has been created, and your products are now in place, it’s time to set up your sales tools and payment processing. Again, Kajabi has made this process simple, fast and easy. Don’t worry about setting up merchant accounts or needing to integrate with the latest payment platforms; Kajabi has all of the payment process options right in place for you. In addition to accepting payments through your site, you can also implement product upsells, custom offers and even an affiliate program to help promote your site. Whether you are selling individual products or building out your own membership site, understanding your audience and customers are key. Through your Kajabi account, you will have access to all of your member details. You will be able to see their current status, activity and also provide support through discussion areas on your site. 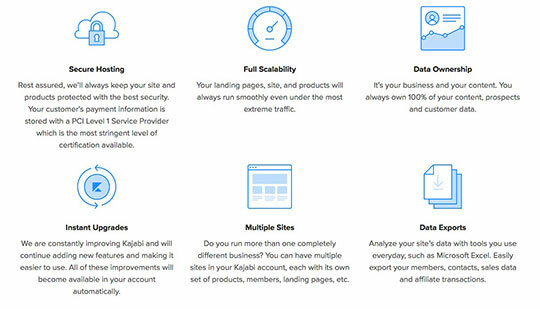 To bring everything together, the marketing features within Kajabi will allow you to customize further and promote all aspects of your site. For example, if you’d like to create custom landing pages, forms or lead captures, everything is already in place within your account. In addition to the creation of additional marketing methods, you can also track your website, customers, and sales through your email and site analytics within your account. As you can see, Kajabi offers their customers everything they need to get their business up and running right from the beginning. However, what if you already have an existing business online or want to use services from another solution? No problem. Kajabi has a wide range of solutions they currently integrate with, which can all easily be done right within their user interface. A few notable names on this list include PayPal, MailChimp, Aweber, and many more. Now that you’ve seen some of the many features and benefits to launching your business through a robust platform like Kajabi, it’s time to take action! 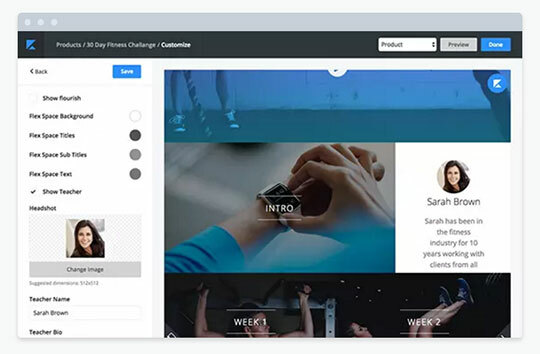 In addition to gaining access to all of their powerful tools and features, every customer will also receive access to Kajabi University, which provides online training, tools, and resources to help your business grow. Through the use of this advanced training material, you will have access to the same guidance and tools that have helped many Kajabi based-businesses scale to their massive success stories they are today. When creating an account with Kajabi, there are currently three membership plans to choose from. Each plan was designed to cater to the size, needs, and budget of each individual business. 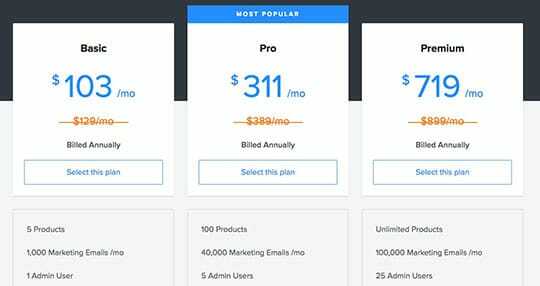 You can see a summary of each membership plan below (pricing based on annual billing). As mentioned earlier in the article, Kajabi is currently offering a free 14-day trial for all new customers. This is the perfect opportunity for you to set up your online business while giving Kajabi a test run for a full two weeks for free. Recently I heard about Kajabi selling content on online. This great post helps more and thanks for sharing.